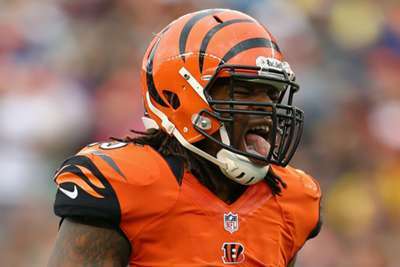 Vontaze Burfict has found a new home, signing a deal with the Oakland Raiders. The former Cincinnati Bengals linebacker signed with the Raiders, the team announced on Tuesday. Cincinnati announced their decision to release Burfict on Monday, which made him a free agent after seven seasons with the organisation. Burfict had signed a three-year contraction extension, worth $38.68million, before 2017, but new Bengals coach Zac Taylor said it was best for him to get a "fresh start" elsewhere. Oakland have already acquired notable pieces in offensive lineman Trent Brown and wide receiver Antonio Brown this offseason. Its defense gave up a league-leading 29.2 points per game in 2018. Burfict had to serve a suspension for violating the NFL's performance-enhancing drug policy in 2018. He also suffered two concussions, which limited him to just seven appearances for the season.